Concrete Vision is the most complete solution for managing the entire project lifecycle with confidence, accuracy, and efficiency. By using the latest development, database and web technologies Concrete Vision gives you real-time control over all aspects of your projects–and your company’s bottom line. Contact management is the heart of our CRM system. Designed specifically for the precast sales representatives, Concrete Vision’s Sales Module allows users to create, distribute and track any type of sales quote. Concrete Vision’s Project Management Module enables everyone in your company to remain informed of all critical business communications. Designed to import and maintain individual piece and bill of material data. 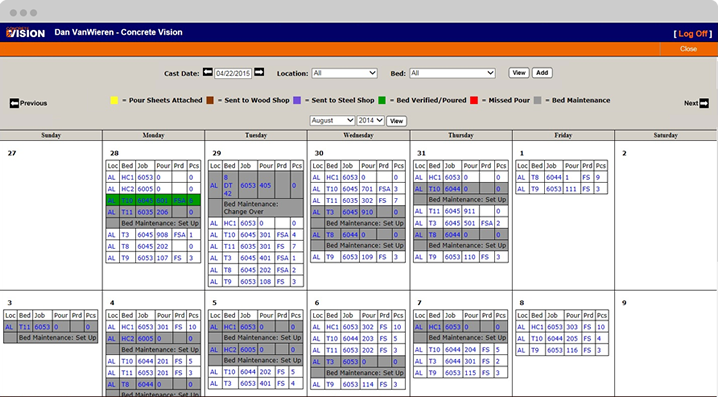 Set up, track and report project tasks and resources to keep your jobs on schedule. Helps identify piece-level after pour imperfections and tracks quality issues using non-conformist reports (NCRs). Successfully manage inventory and create storage plans for projects all while improving customer service. 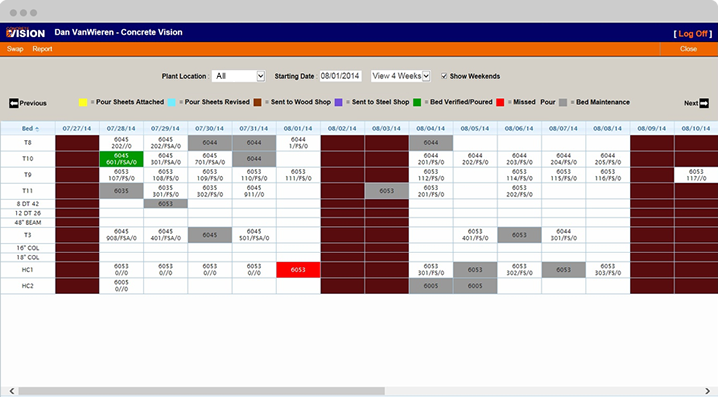 Build a cohesive team, by sharing information through the Dispatch module. Both production and dispatch personnel are given the tools to achieve efficiencies otherwise unattainable. Field Module keeps track of piece at the job site. Every precast company has its own internal reporting needs. Concrete Vision is designed to be as custom as your company. Would you like a live free demo and see how Concrete Vision can benefit you company? Concrete Vision is developed and distributed by VPRO, inc., a software and web development company located in the greater Grand Rapids, Michigan area. © Copyright 2015 VPRO, inc. Concrete Vision® is a registered trademark of VPRO, inc.